South Africa is the only developed country in Africa with good industry system. For development of city construction and sea port facilities, South Africa still has good potential market of construction machinery. Some customers working very near to sea ports such as Durban, need onshore cranes to handle and transport goods. RMG and RTG are good choice for them. 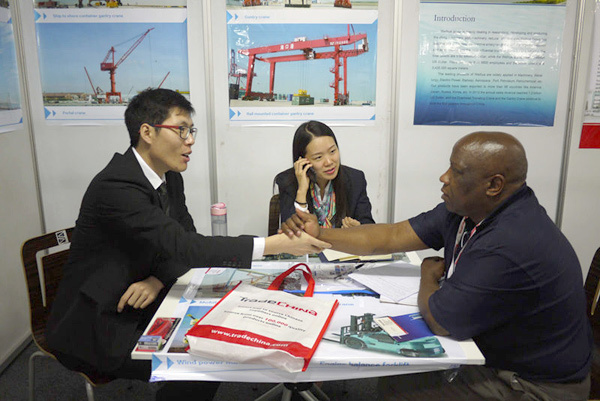 During exhibition, we met many logistic companies and local Chinese companies, had studied situations and ways to do business in South Africa. Weihua is hoping to cooperate with local business and we also believe our products will find a good market in South Africa. We sincerely welcome local business to be our agents. Welcome to contact us.